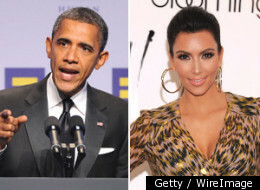 President Obama Not A Fan Of Kim Kardashian? Omaiga! What is the world coming to! Our dear President Obama is not a fan of the Kardashians? You kid! According to his wife Michelle Obama he doesn’t really approve of his daughters watching the show Keeping Up With The Kardashians which airs on E! every sunday night. Previous Studio Center Is Officially The Best Place To Go For All Your Production Needs!! Next SMH Moment Of The Week! Man Goes To Jail For Licking Woman’s Knee!